Online grammar checker tools are really helpful for those who want to write the English content without making mistakes. Error free writing helps the blogger to rank websites higher without mistakes. Free online grammar check now became easier with many of these English spelling mistakes finder tools. We have found really good solution for the webmaster to write perfect English language in their sites content. It has been clearly stated by the search engines and highly recommended by the top marketers that quality content ranks better without extra efforts. Proper English writing without spelling mistakes also the part of quality content and proper sentence sequence is also must. Many of these free grammar checker have paid versions also which gives the facility to webmasters for doing something more effective with their website content. There are good resources for free online plagiarism checker free online plagiarism checker which you can use to find unique content. We have searched for the many grammar checkers but here we are mentioning some of highly recommended and most discussed sources by marketers. If you are watching dream of great content writer then this tool alone can make your dream come true. We have checked many found this one most effective and easy to use. There are two versions available of it free and premium both. You can get benefit of its free version just by adding it to your chrome. You can proof read your content by applying the right fundamental of writing article. 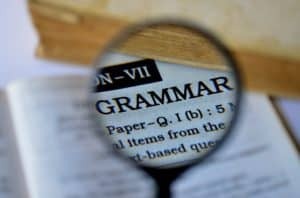 150 grammar and spelling checking which are critical. It suggest on vocabulary improvement. You can check plagiarism content to avoid duplicate article issues. You can receive stats of performance by email. It is really easy to use and improve your content. For contextual spelling mistakes correction and wrongly used word correction this ginger works more effectively. This software improves writing productivity. It has some advanced features in it which finds uncommon mistakes done while writing the content. It corrects subject verb agreements, misused word correction, singular and plural nouns, consecutive nouns and wrong wording issues also. We can use Ginger software for free and it is the most interesting thing which I liked about it. It is the really perfect solution to correct typical spelling mistakes at free of cost. This tool suggest the proper way for possible correction in the content. The great thing of reverso is they ask for your feedback about the result also so they can improve their service quality. This tool is powered by Ginger which is one of the most famous brand name in the segment. It is one of the highly recommended tool to check grammar online for free and you just need to copy and paste your content to it, after pasting it you can check which mistakes you have done in your article. You have the facility to reject the error after click on “ignore error for this word” and continue for checking another words. Apart from spelling check you can do plagiarism check and many more another functioning on this online portal. Something new function I have seen in polish my writing is you can see writing style suggestions and can do necessary correction. The developer resources are also available which every webmaster wants. It works for free and you just need to paste the content or write your own words in the text putting box for online grammar check free. It is the open source program available for free and available in 20 plus languages like polish, German, French and English also. You can add to chrome for free and you can to Firefox browser also just by clicking. There is the forum available on this tool from where you can do discussion and ask questions to get good solution about this. We just found another program which is quite simple to use online and improve quality and search engine ranking just of writing error free content. Another online portal which is helping us to check spell and make the sentence wonderful by making suggested changes. It supports many international languages like Greek, Chinese, Russian, Spanish, English and many more also. Read some important features of this tool which make this perfect for use. Users are able to do Grammar and spell check easily. One more important function is free proofreading available online. You can do Plagiarism check also for free. It is also one spell corrector which needs the attention of the reader and can try to test its working efficiency so just do to their official website can take a trial also. Why Grammar checking and these tools are so important ? To improve quality of content of your website. To make your readers impressed with the article on your site. Error free content having page always ranks better in search engine. Because of all these reasons we can do online grammar check by using free online grammar checker tools. There are some useful domain name suggestion tools for blogs are also available and few to sites to buy backlinks also. Thanks. No need for any other tool if you got Grammarly in your browser.